"They're taking them from other countries. They're bringing them back to the United States," Trump said Wednesday outside one of his Florida resorts. "A nice change." Sprint confirmed the news in a statement saying it would "create or bring back to America" 5,000 jobs, mostly in customer care and sales. Sprint's CEO tweeted Thursday that these are new jobs that were not previously planned. Trump also took credit for a startup called OneWeb announcing plans to hire 3,000 Americans in high-tech manufacturing. The details of these jobs announcements are new, although they are part of the 50,000 job commitment made in early December by SoftBank, a Japanese conglomerate with a controlling stake in Sprint and a big investment in OneWeb. So how much credit should Trump get? SoftBank was already planning to make some investments before Trump won the election. In October, SoftBank announced it was starting a $100 billion technology investment fund. While SoftBank didn't announce specifics, it was already talking to companies like OneWeb. But SoftBank didn't announce it would create 50,000 American jobs until after the election. In early December, SoftBank CEO Masayoshi "Masa" Son stood by Trump and promised the jobs as part of the investment. Stop speculating. This has NOTHING to do with previously announced @Sprint initiatives. "This is great. The U.S. will become great again," Son said about Trump as they shook hands in Trump Tower. Trump claimed that Softbank would not have invested in the U.S. if Hillary Clinton had won the election. "Masa said he would never do this had we (Trump) not won the election!" Trump tweeted at the time. The Sprint announcement comes a month after Trump helped get Carrier to keep 800 jobs in Indiana, although some jobs are still transferring to Mexico. "Companies are not going to leave the United States anymore without consequences," Trump said when he visited Carrier on December 1. Related: How good were the jobs created under Obama? Earlier this year, however, Sprint cut 2,500 jobs at its call centers to save money. In a statement on Wednesday, Sprint said it was ready to work with the Trump administration. 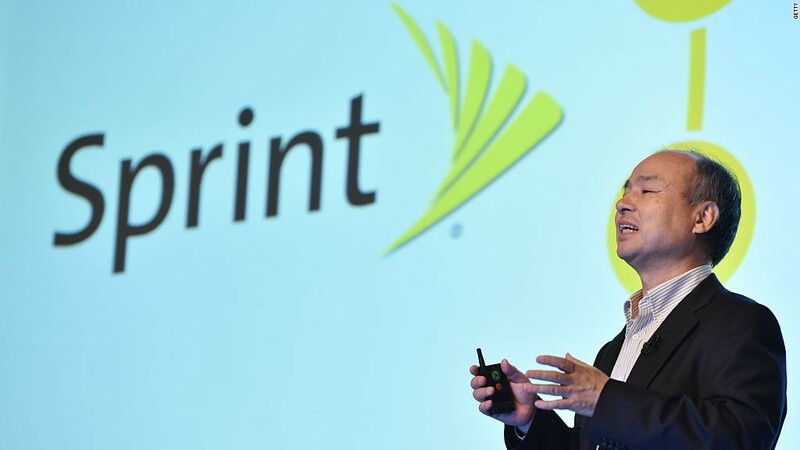 "We are excited to work with President-elect Trump and his administration to do our part to drive economic growth and create jobs in the U.S.," said Sprint (S) CEO Marcelo Claure. He called it "critical" for business and government to work together. OneWeb is a Florida startup that aims to provide Internet access to everyone from small satellites orbiting the Earth. "These will be lots of skilled manufacturing jobs," Greg Wyler, CEO of OneWeb told CNNMoney, adding it was "nice to get a mention" from Trump. He said OneWeb plans to add the new jobs over the next four years. As an American entrepreneur, Wyler said high taxes are the biggest hurdle businessmen like him face. He hopes Trump lowers tax rates.